When I thought about becoming pregnant again, I was most excited about the birth that would occur, and how I would try my damnest to have a different experience. Even though my hospital birth wasn’t ideal, I still left the experience knowing how profound, magical, transformative, and unwordly the experience of birth is (and I stand by the fact that every woman’s birth will ALWAYS be magical regardless of how they get there). It is something that cannot exactly be put into words. In a book I read, they touch on a good point, that when women are told what birth is “like”, it is usually only the anatomical/physiology part of what happens and a lot of medical terminology (and fear inducing stories). When really we should be explaining birth the way we would explain how chocolate tastes to someone who has never had the pleasure of enjoying it before, or how we would describe a sunset to the blind. I feel this would save so many more first time moms from having to go through an experience they didn’t want to realize what they could have had. 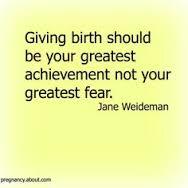 In other cultures where birth is a normal occurrence and talked about positively, women are excited for it, not afraid. 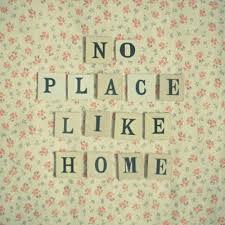 But regardless, it is a lot like parenthood, nothing will ever really prepare you until you are there. It is a rite of passage. One I do not want to be numb for, one I want to experience fully. I knew I would hire a doula the second time around and knew there was a Birth Center close by. So when becoming pregnant, this is who I called first. Now by this time, I had absorbed a lot of information regarding birth. Ina May Gaskin (A world-renowned midwife and the recipient of many honorary Ph.D.’s) was basically my hero. I was no longer naive when going through the process. I knew that birth was a natural process that went best when left alone and when women were free to move intuitively. I knew it was an incredibly important spiritual event in a woman’s life yet it is treated like a routine medical procedure. I knew that giving birth on your back was the least effective position but was the easiest for doctors to deliver babies. I knew that continuous fetal monitoring has not been shown to produce any better fetal outcomes yet lead to many unnecessary C-sections and kept women strapped to their hospital beds. I knew that our bodies were designed to shut down labor when we feel unsafe or afraid (imagine what an OB counting down the hours you’ve been in labor pressuring a cesarean actually does to labor). I knew that all a woman needs to do is eat a little something and relax to get her labor back on track (and that the risks to eating in labor were outdated and non-existent). I knew that all of the drugs that are given to you like candy during the course of a typical hospital birth are most likely the cause of the many complications that arise in labor but the risks are rarely explained beforehand. I knew that inductions and repeat planned c-sections have been on the rise the last twenty years and without any true medical reasoning. I knew that a lot of women pre-hospital era died from childbirth due to infections from unsanitary conditions prior to the emergence of antibiotics yet the use of maternity hospitals receives all of the credit for the decrease in maternal death. I knew the very scary and very real risks associated with cesarean sections. And I knew that the US has one of the highest infant and maternal mortality rates in all of the developed world yet has the most resources (with >90% of women giving birth in hospitals) and that something was wrong with that picture. All in all, I felt that the hospital institution worked against the natural flow of labor, and if anything perpetuated the problems they say they are there to fix. All while coming out as the hero who saved your baby. To me, the hospital was the enemy, albeit a well intentioned one. Yes, they have a place and that is for emergencies and high risk pregnancies. But a VAST MAJORITY of births are not emergencies and I am much more afraid of a C-Section happy Obstetrician than I am of giving birth naturally out of a hospital (not to mention assisted home birth has been shown time and time again to be just as safe if not safer than hospital birth for low risk women) And again, it is not entirely their fault. The hospital is an institution who has legal and financial responsibilities; they have to answer to insurance companies and have been sued over and over again for malpractice. Obstetricians have multiple patients and women in labor at a time and just simply cannot give you that one on one support (that women deserve and have always had). But this is why I wanted to get away from this setting. I do not want to be just a name on a chart being put through an assembly line. I want to be treated like an individual going through a life changing, powerfully emotional experience. And I just do not feel a hospital setting can give me all of this. So…When I toured the first birth center and I heard things like “We have a 30% hospital transfer rate for “failure to progress”” (A term coined by ONE Doctor’s study in 1955 and the reason for many potentially unnecessary interventions), a red flag went off. This sounded like the same song and dance I heard from the “institution”. I also found the center to be very cramped and crowded. Now, you have to remember this isn’t my first rodeo. I remember the intense pain of labor very well. I knew the only way I was going to be able to do this was if I had freedom and space to move. I decided not to go back. I don’t know what made me do it , but I googled “midwives” one day and a website came up of a homebirth midwife pair in the area. I instantly fell in love with their philosophy and the overall feel of what they did. I made an appointment to meet with them. I had played around with the idea of homebirth before becoming pregnant but I guess at the time it still seemed all a little too “hippy-esque” for me. But the more I thought about it, the more I knew this is what I was looking for. I wanted that gentle midwifery model of care, I wanted my care providers to believe in my body’s ability to birth. I want them to know me and I to know them when it comes time for the baby to come. I want to be comfortable to get through the hard work and intensity that labor brings without medication and when I thought about it, aren’t I the most comfortable when I’m at home? Upon meeting them, I knew that they would not put me in harms way, but more importantly I knew that they would not react out of fear and overly caution and allow interventions to happen unnecessarily. They believed in nurturing and supporting the expectant mother and that confidence was extremely important. It came down to this, and this is important because I think this is the MOST important thing when choosing a care provider: I trusted them. And the truth was, I no longer trusted the medical institution when it came to birth and I didn’t think that was something that I could get back. There was one major downfall however. Most insurance companies do not recognize homebirth and do not cover any of it. So the cost is completely out of pocket. The cost is $4900 plus $250 for the birth pool rental, plus $800 for the doula. Now when you think about it, this is pretty cheap. The $4900 cost is the cost of my entire prenatal care by the midwives, their time and skills at the birth which could take a day or more, AND my postpartum care. A typical hospital birth alone costs anywhere from 17k – 37k depending on if you had a cesarean section. You would think insurance companies would be encouraging homebirth with how much cheaper it is, but instead they work against it. Of course this angers me, as a woman I should decide how I want to bring my child into the world, and the choice should not be an illusion. I also found out that my insurance company would cover all but $400 a night of a hospital or birth center birth making the financial decision even harder. Our family had only been on one income for less than six months. You see the dilemma we were in and how big of a decision it was. I decided to give one more birth center a try. However, it was an hour away. During the initial tour, I really liked it. They showed a video that talked about the benefits of a natural birth and actually had a very anti-hospital feel. The rooms were cozy and spacious and they had their own birth pool you could set up. They had a low influx of women unlike the first who sometimes had overflow. I decided to make the compromise and did not sign the contract with the homebirth midwives. I went to my first appointment excited to meet the midwives and talk about my goal for an unmedicated birth. Upon meeting the first midwife, she was not very warm and told me I may not meet all of the midwives before the birth and may have one I never met before deliver the baby. When I went on to tell her my goal for an unmedicated birth, she then said to me… “Well, we believe in safe birth.” Which, I know what you are thinking- what is wrong with that statement? Of course she believes in safe birth. But anyone who was passionate about birth would automatically see that this statement was a cop-out, a manipulative fear-tactic. 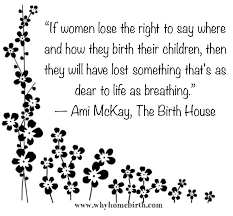 A true midwife who believes in the body’s ability to give birth would ultimately believe that birth IS safe and especially safe if allowed to progress naturally. I then went on to learn that most of the patients deliver in the hospital with medication and that is where they practice most. I left discouraged but decided to give it one more shot. At my next appointment, the midwife was much warmer yet very young. She told me she had only been a midwife for three weeks. I had an uncomfortable and not very gentle pelvic exam which left me crampy and worried afterwards. When I asked a few questions about their policy for transferring, I learned they transferred immediately for meconium in the amniotic fluid. I had meconium in my daughters birth and felt that the situation changed once it was observed. I learned afterwards that because she was full term, meconium is often harmless and a sign that the baby’s digestive system is mature. Meconium CAN be a sign of a problem, but when it is, it is almost always accompanied by other signs. This was one of my biggest fears, being transferred to a hospital in the thick of intense labor because of a “routine procedure” without being medically necessary. I left distraught, and knew that I had to make the homebirth work. I called my husband and being the ever supportive man that he has always been, he assured me we would do what we had to do. That this is what we want. I called them that night and signed the contract and sent the deposit. Reading through the packet of materials to collect for the homebirth and what to expect, I was giddy with excitement. I had my first appointment with them which was very hands off, we mostly just talked. They believe pregnancy and birth are natural processes and they were there to step in if need be, but otherwise, trusted my body to know what to do as long as I ate well and stayed hydrated. (But don’t worry, my protein, blood pressure, belly, and fetal heart rate are checked at every appointment and I still have all of the routine prenatal tests and ultrasounds unless I decline [I did forego the genetic testing]). The next appointment would be when the fee was due. The day I drove to our savings account to withdraw the $4,000 cash- our oven broke, we received our property taxes in the mail, and our account was -$400 due to me underestimating our monthly expenses because it was the first month we did not have unemployment benefits as a backup . Not to mention, we had 4 trips coming up in August and September that were planned pre-pregnancy. At the same time, I was having so much trouble scheduling the routine 20 week anatomy ultrasound (where they usually find out any major problems) because my insurance company didn’t recognize my midwives as medical professionals. I had been on the phone fighting it the last few days. Talk about overwhelmed. I started to panic. How could we do this? I was angry that I had no real options. I could have a homebirth if I was willing to drain our savings, forgo insurance coverage, and fight with them for every test I needed. It didn’t seem fair. For days, I went back and forth. My goal was an unmedicated birth and I could have that in a birth center and not have to worry and stress over ever penny spent the next few months. But birth is such a gamble, and I didn’t want to risk something minor happening in labor causing me to transfer to a hospital and end up with a slew of interventions I didn’t want. I would ALWAYS think, would that have happened if I had had the homebirth? And this was my biggest fear. If I had to transfer during my homebirth, at least I knew it would be for a legitimate reason. I didn’t want to be irresponsible, but this was incredibly important to me. Discouraged, I emailed the homebirth midwives for the second time to tell them I just don’t think we could afford it. It was just such bad timing with this being our first year without my salary, and I wish we would have planned for it prior to becoming pregnant. I even set up an appointment with the birth center AGAIN. Until the midwife called me, and said that she wanted me to have this experience and that we could work something out. And that she understood. I sat down with our finances and came up with a payment plan. It’s still going to be hard, money is going to be tight, but this is the birth of our child. One of the most important experiences in all of a woman’s life. I thought of how we pinched every penny for our wedding, and this was so much bigger than that. I will not think about that money that was spent years from now, but I will forever hold my birth experience in my heart and I have to believe this sacrifice will be worth it. This entry was posted in Birth, Birth, Homebirth, Labor, Motherhood, natural birth, Pregnancy, Pregnancy & Birth. I am so glad you chose them and are doing what you have to do for your homebirth! Believe me – You will not be disappointed!